One firebrick for each SmartBurn. 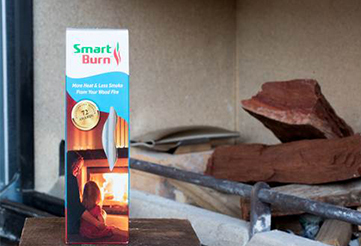 The SmartBurn ingredients are solid at room temperature then change to a liquid when heated. Raising the SmartBurn tube off the firebox floor will help ensure the tube is kept flat, level and undisturbed during heating which will ensure the ingredient mix remains contained within the vessel. 2019-05-19 SmartBurn Australia In stock! Order now!